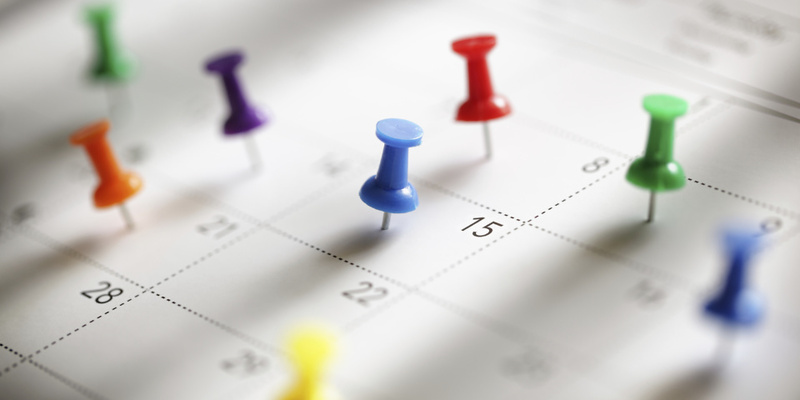 The coming year promises to bring some exciting developments for your personal finances – so make sure you don’t miss a single one by noting these key dates in your diary. From critical deadlines to exciting new products, it’s an ideal time to get yourself organised, and make sure you’re prepared for upcoming changes. The Open Banking platform will allow you to see all of your accounts (credit card, bank accounts and savings) in one place. The nine largest account providers will also open up their customers’ transaction data to third parties, if you’ve given them permission to do so. The aim is to encourage innovation and make it easier for you to compare and switch financial products. This date also marks the end of HMRC accepting payment via personal credit cards. Individuals will no longer be able to pay their HMRC bills on credit, including for income tax, stamp duty, VAT and corporation tax – though corporate and business cards won’t be affected. This is the final deadline for online 2016-17 tax returns, so you’ll need to submit your self-assessment paperwork by midnight. The only exception is if HMRC issued the notice to make an online tax return after 31 October 2017, in which case you have three months from the date of issue. You also need to have made your first payment on account of tax 2017-18 by today. If you file your tax return late, or fail to pay the tax you owe on time, you will probably face extra penalty fees and interest charges. While the full roll-out of Universal Credit is set to continue until December, 1 February marks the removal of the seven-day waiting period. This means the time between applying and receiving your first payment will shorten to five weeks, rather than six. In a new rule set out by the Financial Conduct Authority (FCA), today will see a more open process when it comes to shopping around for annuities. It was found that the majority of consumers fail to switch to existing providers when buying an annuity, despite better deals being available. To try and make people more aware of their options, the FCA has stated annuity providers must give customers prompts directing them to the Money Advice Service’s annuity comparison tool. Find out more: What is an annuity? Philip Hammond will publish the 2018 Spring statement today. Mr Hammond previously announced that the Autumn budget would be the only major fiscal event each year, so there are unlikely to be any major changes – but it’s still worth keeping abreast of what’s going on in the UK economy. It’s the last day of the 2017/18 financial year – a good time to tie up any loose ends. Today is the final deadline for claiming your PAYE tax refund for the 2013/14 tax year and for claiming tax overpaid for the 2013/14 tax year under self-assessment. What’s more, it’s also the final day to take advantage of your 2017/18 tax-free allowances if you have an Isa, Junior Isa, Lifetime Isa or a pension fund – although keep in mind that unused pension allowances may be able to be carried forward. You can save up to £20,000 before tax in stocks & shares Isas, cash Isas, innovative finance Isas, Help to Buy Isas and Lifetime Isas (split between them, if you have more than one Isa), up to £4,128 in a Junior Isa, and up to £40,000 with pension tax relief. Happy new financial year! As the first day of 2018/19, you need to start gathering detailed documents for your 2017/18 tax return if you’re self-employed, or have income from property in the year ended 5 April 2017. It is also the deadline for transferring funds from a Help to Buy Isa to a Lifetime Isa if you don’t want that amount to count towards your £4,000 annual allowance. This could mean a healthier savings pot to use towards buying your first property, or retiring. Today will also see a number of tax changes take effect, as outlined in the November 2017 Autumn budget – from new income tax thresholds to reduced dividend tax allowance. For more details on what these changes are and how they might affect you, see the full list of every tax change due to take place this year. The inflation figures from March 2018 will be released today. This will be pertinent for anyone repaying a student loan, as it will form the basis of how the student loan interest rate is calculated from September 2018 – usually, it’s the March RPI figure plus 3%. Employers must have distributed 2017/18 P60 documents issued to employees by today, having previously filed your payment information to HMRC in April. If your employers hasn’t provided you with this, follow it up. Where applicable, copies of p11D documents should be issued to employees. These detail any taxable benefits – such as private health insurance – and reimbursed expenses, and are sent to HMRC to track benefits that are not included in your wages. For those who filled in a self-assessment tax return, today is the deadline for the second payment on account for 2017-18 tax year. Don’t be late! Today will see the release of July’s inflation figures. These will dictate the cap on rail fare rises due to come in on 1 January 2019. Not all fares will rise in line with inflation – this year many rose below inflation. The cap also only counts for roughly 45% of fares in England, Scotland and Wales that are regulated – 55% will have no cap at all, and rises are decided by the train operating companies. If you become self-employed this year, or started receiving income from property, this is the deadline to register with the HMRC for self-assessment for the 2018/19 tax year. You should submit a form CWF1 for self-employment, or form SA1 for non-self-employed income. September’s inflation figures will be released today, which will affect state pensions from April 2019. The inflation rise in 2017 meant pensioners benefited from better rates – something that could be set to continue. It’s a big day – Halloween and the deadline for filing your paper self-assessment returns for the 2018/19 tax year. If you’re doing your tax return online, you still have plenty of time. You can use the Which? tax calculator to file online and submit directly to HMRC. Ready your bank cards and sharpen your elbows – it’s Black Friday. If last year was anything to go by, the likelihood is that retailers will have been cutting prices and giving special deals all week, but Friday is the biggest day for grabbing a bargain. As you prepare for celebrations to see in 2019, don’t forget to get your affairs in order. Today is deadline for submission of self-assessment tax returns for the 2017-18 tax year if you want HMRC to collect tax through your PAYE tax codes – but this is only applicable if you owe less than £3,000. Premium bond winners January 2018: how many bonds should you buy?